Political insider Roger Stone, a longtime friend and advisor of Donald Trump, made an appearance on the Lew Rockwell program to discuss his new book, Jeb and the Bush Crime Family: The Inside Story of an American Dynasty as well as the candidacy of Donald Trump. At the time of the interview, Jeb Bush was still in the race, coming in the days leading up to the South Carolina primary. This was a time, obviously before Jeb Bush had endorsed Ted Cruz as well as prior to the bank fraud con man Neil Bush joining the campaign’s financial arm. It was a time when their affair was still being kept a secret. Now they’re out in the open. Cruz is no longer hiding the fact that he is in bed with the most corrupt establishment organization of all, the Bush clan. Both Cruz and his wife have worked for the Bush machine and been involved with other globalist elitist organizations for a lot of years, some periods less visible than others. Stone talks of the co-opting of the outsiders in the past by the establishment, most prominently, Ronald Reagan. It’s a concern shared by many Trump supporters who value the independence of their candidate as the only non-purchased, “not for sale” man in the field. Stone elaborates on a power struggle that was going on at the time of the attempted assassination of President Reagan and notes the photographic evidence of a second gunman. That power battle was between Secretary of State Alexander Haig and Vice President George H.W. Bush, who wants the power for his New World Order. The Bush machine continues working for global government, the most dangerous aspect of their now intimate association with Cruz. If he gets in, there’s no doubt climate change, TPP and open borders will become much more palatable to the conniving Canadian. They get into some of the more seedy aspects of the Bush family, including the fact that Prescott Bush, George H.W. Bush’s father, was considered to be Adolph Hitler’s personal banker in World War Two. 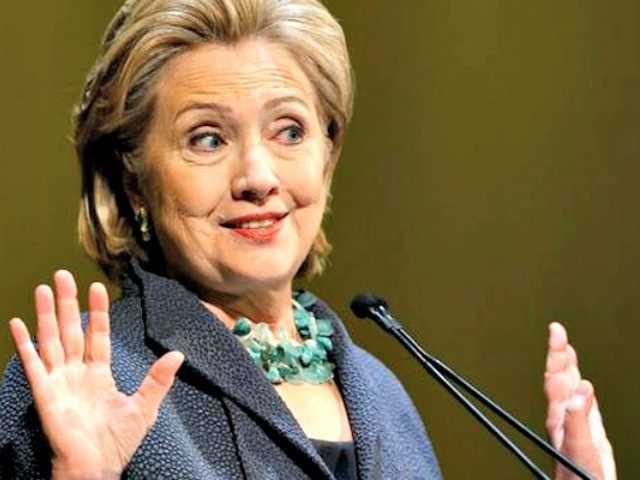 The Bush and Clinton criminality, their common interest in drug dealing across the southern border, and other bits of information are discussed. 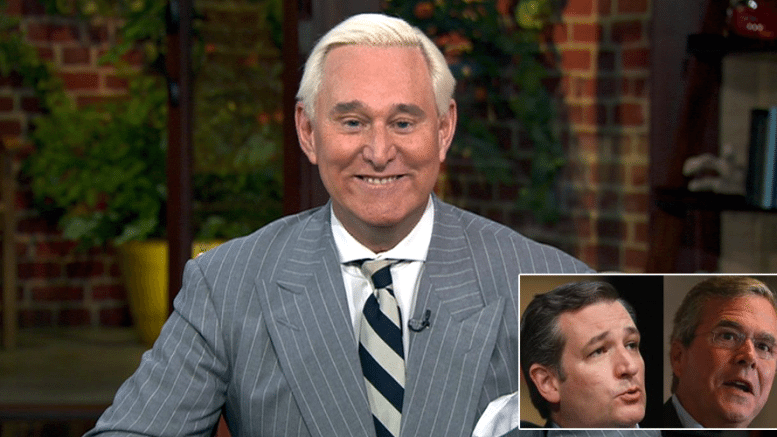 Stone describes Jeb as being more like his mother, which is not a compliment. While the father is calculating and vicious, he is also much more affable than the mother, who he describes as haughty, arrogant, nasty and vindictive and totally entitled. He says he’s always amused as he travels around the country and people tell him that Jeb is a nice guy. 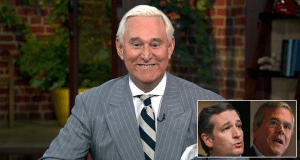 Stone says, “No, Jeb is not a nice guy.” He discusses his long drug use and sale career, all through his youth and college, as well as an arrest for a kilo of cocaine he and John Connolly Jr were busted for in Houston disappearing literally overnight. They also discuss a few of the shady deals that Jeb has been involved in, including his wealth generating involvement with Obamacare and Obamaphones, being the secrete partner of the wealthy Mexican, Carlos Slim in Tracfone. He highlights the positives of the Trump campaign as well as insight into what he believed at that point in time to be in the works behind the scenes with the GOP establishment. The way things are panning out it looks like he was pretty much right on the money again.